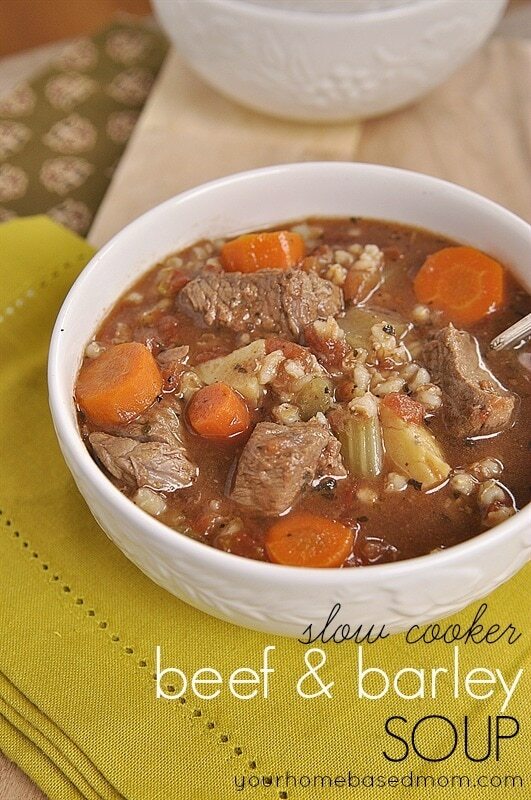 Slow Cooker Beef and Barley Soup is perfect for a chilly fall or winter night. Are you ready for fall? I had to scrap ice off my windows twice this week. I think that means fall is here with winter not close behind, ready or not! We enjoy soup year round at our house but especially in the fall and winter. 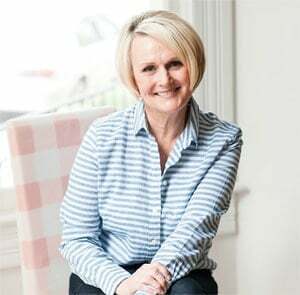 Nothing is quite as satisfying as getting a pot of hearty soup going in the slow cooker in the morning, smelling it simmer all day and then enjoying a big bowl full for dinner! 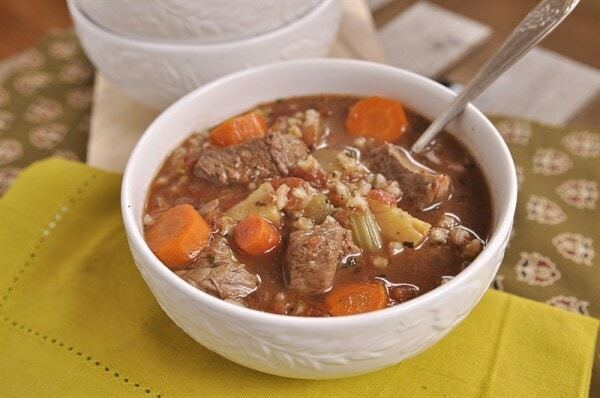 Today’s recipe for slow cooker beef and barley soup is a “hearty” soup. Not only does it have tender chunks of meat but I love the barley in it. It is delicious and really helps to fill you up. I browned the meat in a little olive oil before putting it in the slow cooker and seasoned it with some Montreal Steak Seasoning. I then put all the ingredients except for the barley into the slow cooker and let it cook on low for about 8 hours. About an hour before we are ready to eat I will add in the barley and turn the slow cooker up to high and let it cook an additional hour or until the barley is nice and tender. The only other thing you need might be a nice loaf of french bread. 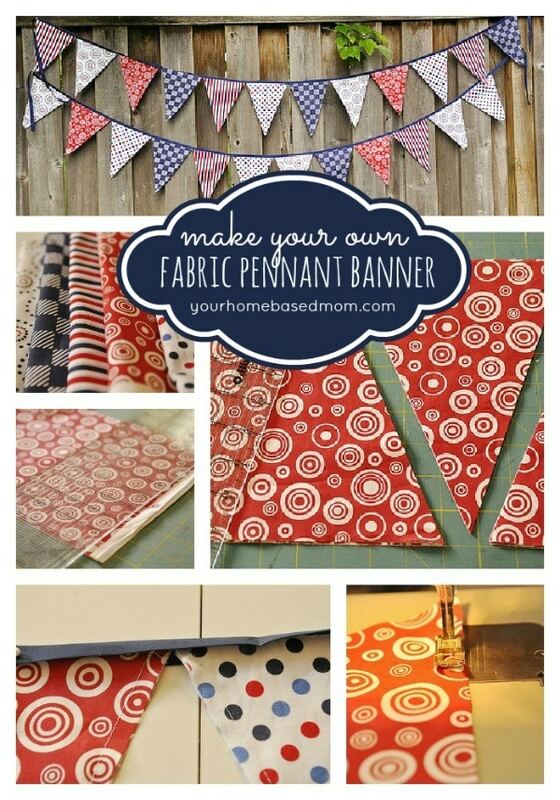 Now you’re ready for fall! 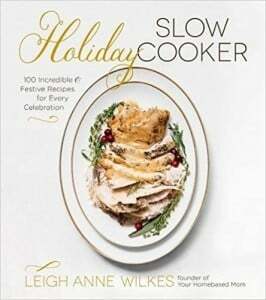 Check out my favorite slow cooker here. 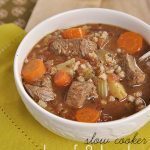 Hearty and delicious, this beef and barley soup is so easy to make in your crockpot with perfect results. Add in vegetables, liquid, tomatoes, seasoning, sugar and pepper. This sounds wonderful! What kind of barley? I used Pearled Barley because that is what I had in my cupboard – enjoy! Thanks Leigh Anne! I was concerned if it was that Quick Cook Barley or not. 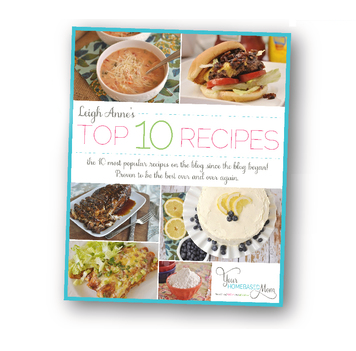 All your recipes look Delish! I enjoy pearl barley but several family members can not digest it, due to gluten issues. So, I substitute garbanzo beans (chick peas) for the barley and potatoes. It has a similar bland flavor an texture. I made the soup yesterday, it sounded and looked perfect for our weather….ithe flavor was delicious but I put the 1 cup of barley in and my soup had way too much barley…it didn’t look like yours….it soaked up all the broth and your picture looks like you only used 1/2 or 1/4 cup….did you use the full 1 cup and if yes, I wonder what I did wrong. I also used the Pearled Barley. Patti, I went back and looked at my notes and my scribble is pretty bad but now that I look I think I may have only used 1/2 C – I am so sorry about that!!! I have gone in and redone the recipe. I’m glad it tasted good I need to work on improving my penmanship so I can read it!!! It is very good to see that you talk to the people who take time to leave comments. 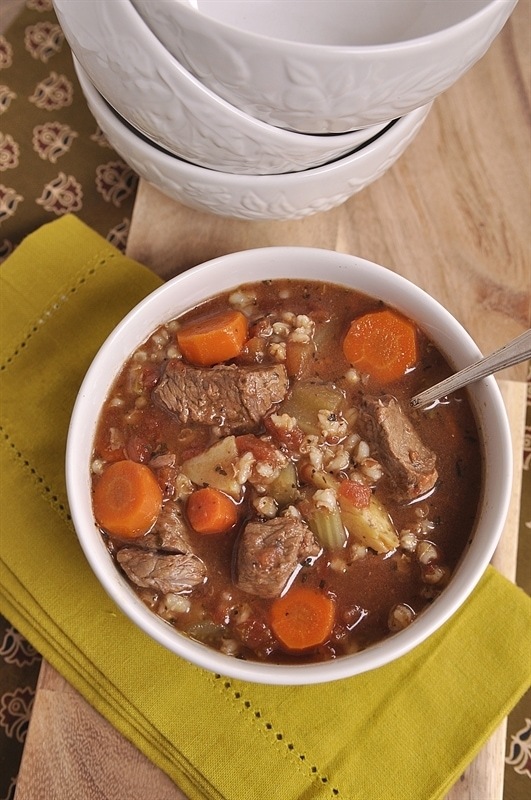 I have been looking for a beef and barley soup and I can’t wait to make this one. I will let you know how everyone liked it.. Please have a good day. Can you tell me about how many servings this makes? It looks delicious! 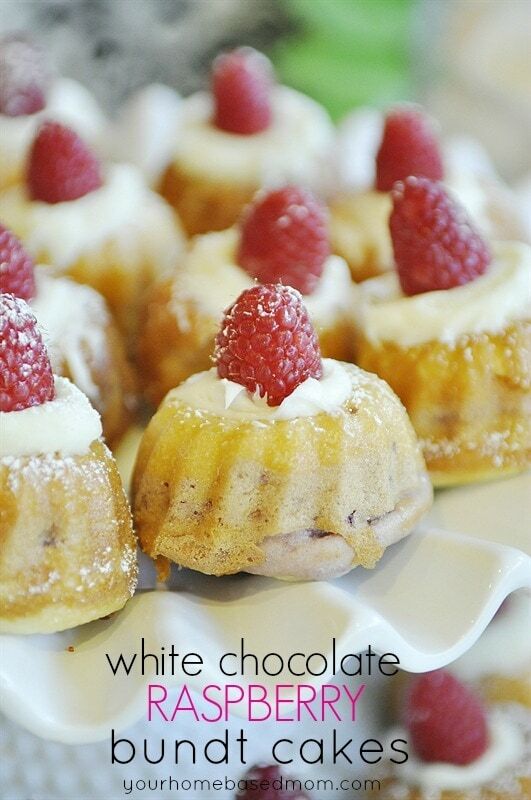 on fri nights for a fundraiser can you tell me how to calculate the recipe? 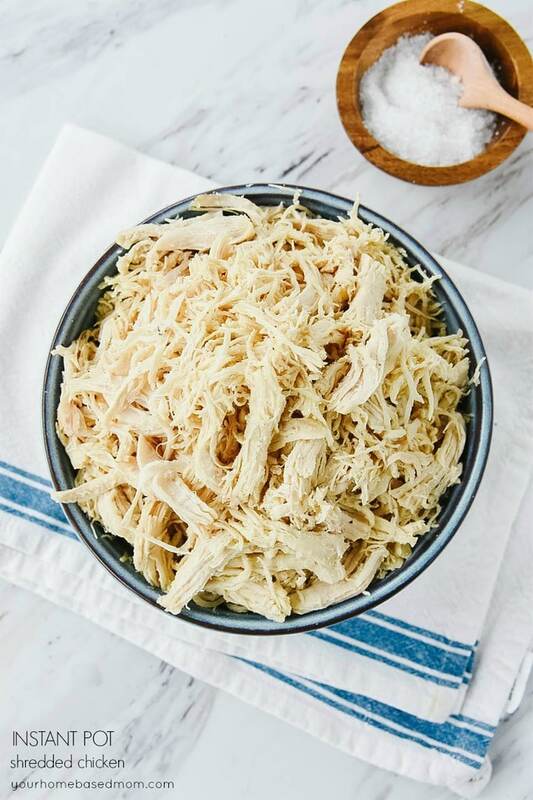 The recipe will feed 4-6 depending on serving size. So I would just multiple the recipe by 8 or so. If I doubled this recipe would cook time be the same? 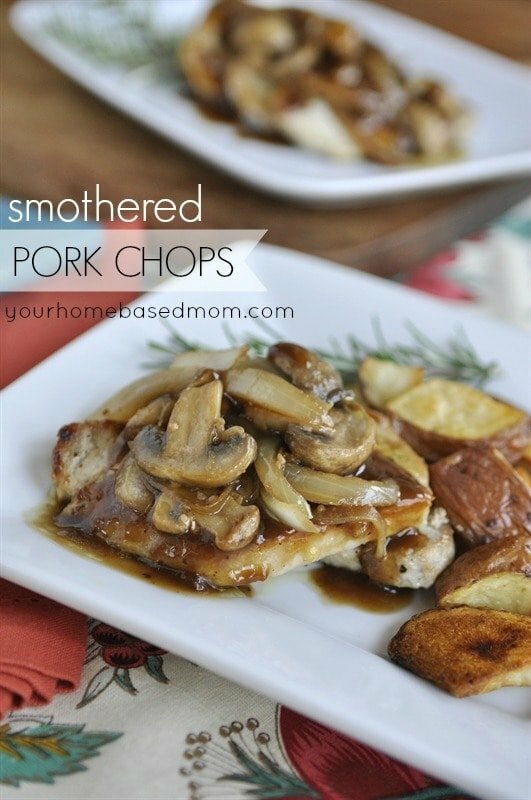 What size crockpot did you use for this recipe? Looks amazing! I don’t have 8 hrs to cook this… Can it be cooked on high for a shorter amount of time? I accidentally used diced tomatoes instead of crushed, but it still turned out amazing!! Also, I didn’t brown the meat first (because I’m super lazy and hate dirtying more pots!). Instead, I mixed together all ingredients minus the beef in the slowcooker. Then I put the raw beef on top and sprinkled it with the seasoning (I used more, closer to two teaspoons). Lid on, 8 hours later, perfection!